(Nashville, Tenn. – Jan. 15, 2015) – Country artist J. Michael Harter has joined the entertainment lineup for the 22nd annual NFL Experience at the 2015 Super Bowl in Phoenix, Ariz. Harter, an Arizona native, will take NFL Experience’s Main Stage, located at the Phoenix Convention Center, on Sunday, Feb. 1 from 1:00 – 1:45 p.m. The NFL Experience kicks off on Saturday, Jan. 24, with all-day events leading up to the Super Bowl game on Sunday, Feb. 1. Tickets for NFL Experience are on sale now, and are available via Ticketmaster, here. 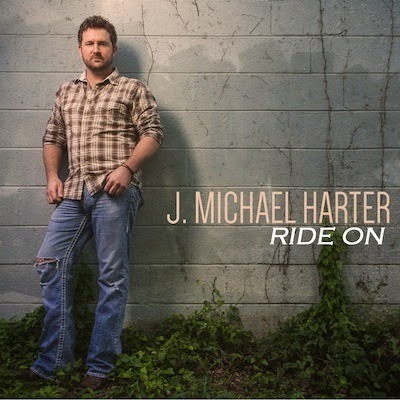 2014 proved to be a great year for Harter, with the release of his single “Holy Cowgirl,” which was followed by the release of his EP, Ride On. Harter has been busy playing shows across Arizona and will continue to play shows in his home state leading up to the Super Bowl. Additionally, “Holy Cowgirl” was announced as one of Marco Club Connection’s Top 10 Dance Club Hits of 2014. Harter’s single took the No. 5 spot on the promotion company’s list of Country dance favorites. For a complete list of Harter’s upcoming shows, visit his website here.